Save BHD 1.77 (30%) – Earn 4 Shukrans What is Shukran? Shukran is the Landmark Group’s award-winning loyalty programme in the Middle East, which allows you to earn Shukrans when you shop any of our brands. 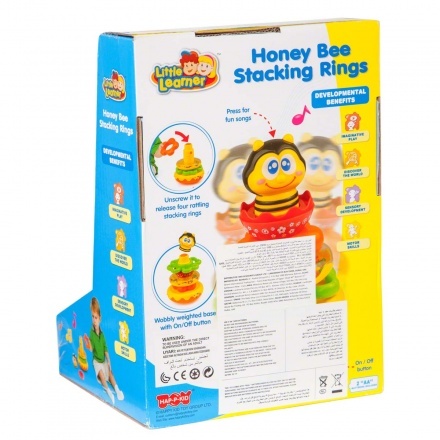 Learning and fun are combined in this honey bee stacking toy. With benefits such as imaginative play, discovering the world, sensory and motor development, it's a must for a tiny tot's growing years. A tap on the bee's head produces fun songs that the child will love.